Engagement – Doing a finger play is a natural way to engage children’s attention and help them focus. 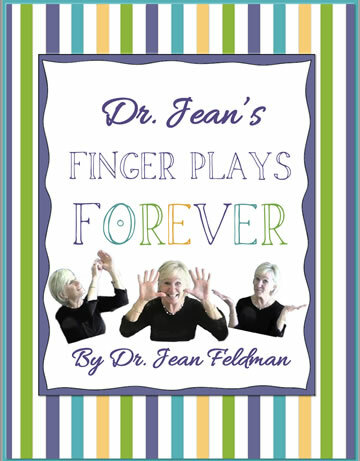 Oral language – Repetition of finger plays builds oral language skills. Auditory memory – Children activate their short-term memory as they memorize finger plays. Comprehension – Most finger plays have a simple story plot for children to follow. Imagination – With so much time spent in front of a screen, finger plays encourage children to make pictures in their brains. Sequence – Remembering the sequence in finger plays can help children retell stories. Download the free sample to learn more. Just click the link below for the free sample. Choose one finger play each week to share with your class. Write it on an index card and keep it in your pocket to focus children’s attention before a story or group lesson. Recite the finger play several times each day. At the end of the week punch a hole in the corner and insert it on a book ring. In several months you will have a ring of rhymes you can use to entertain the children. Each week as children learn a rhyme make a backpack book from a lunch bag. 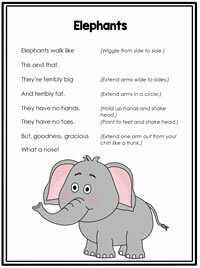 Glue the rhyme inside and invite children to decorate it with markers or crayons. Send home the backpack book every Friday and encourage the children to “teach” their family the finger play. Backpack Book Materials: lunch bags, pipe cleaners, hole-punch, copies of finger plays Directions: Turn a lunch bag upside down and punch two holes in the top as shown. Take a pipe cleaner and insert it in the holes to make a handle. Lift the top flap and fold the bottom of the bag up under the flap. Crease. Open and glue a copy of the finger play inside. Let children decorate with crayons or makers.